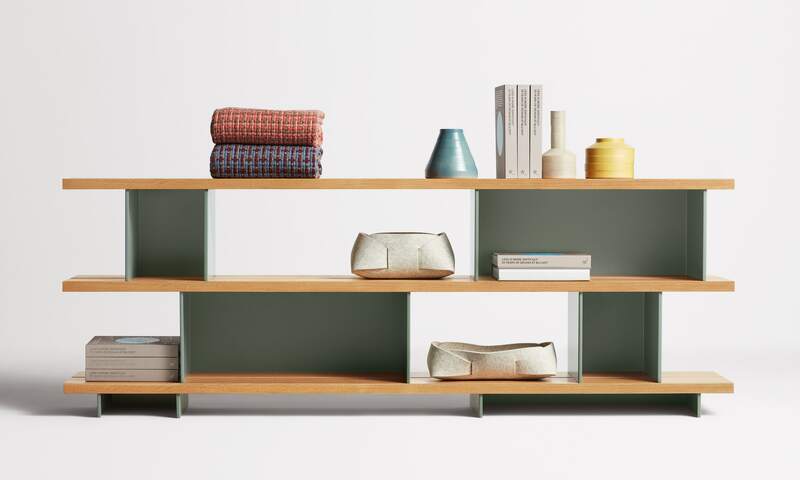 Wood shelves and metal blocks stack without the need for hardware forming beautiful voids and cubbies to house all the things in a perfectly curated manner. Two widths of foot and shelf blocks celebrate asymmetry while bringing stability and visual appeal. 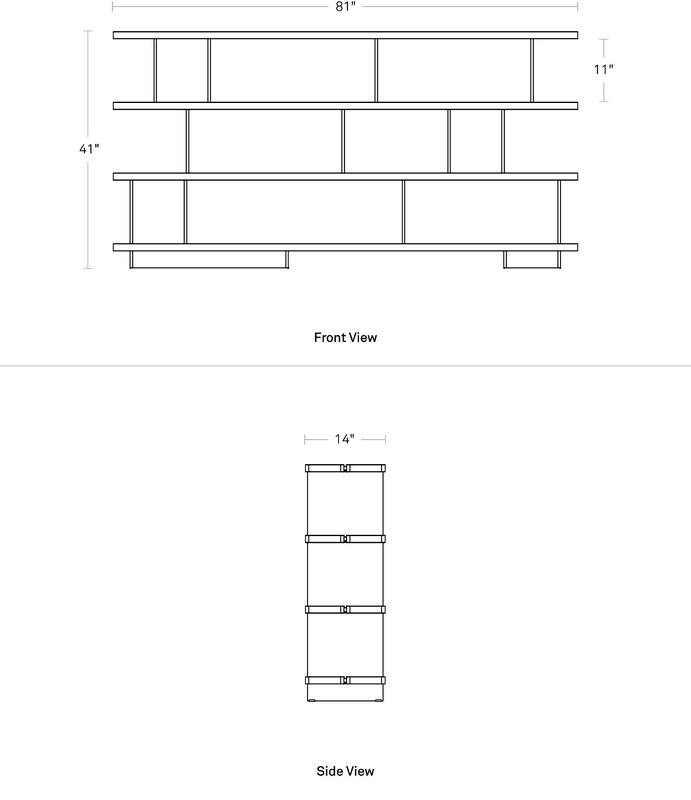 Also available Happy Day Shelving 3 Shelf.